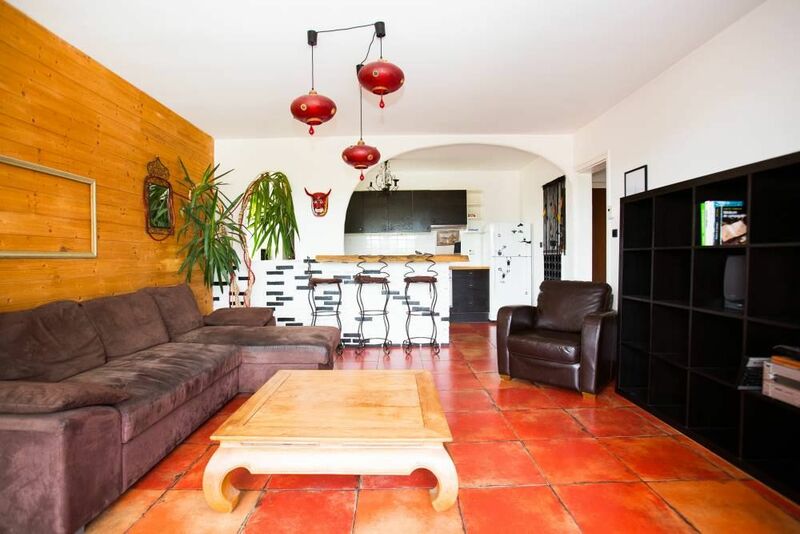 You will be seduced by this nice and well decorated apartment situated in a calm area. In the heart of Hossegor, right by the shops, restaurants, the beautiful lake, the golf course and tennis courts…and most importantly 1 km from the wide beaches of the Landes. (Text automatically translated) CAR: Take the A63 motorway OUTPUT No. 7 Bennesse Marenne or exit 8 ST-Geours de Marennes by RN10 Hossegor county 33. A64 motorway exit 6 Peyrehorade direction St-Vincent-de-Tyrosse Hossegor 33 departmental TRAIN: Station Bayonne or Dax Atlantic TGV shuttle correspondence whole year. PLANE: Airport Biarritz-Parme 35 km from Hossegor Paris Bordeaux 750km 160km 140km dax 35 Spain 55 km from Lourdes.